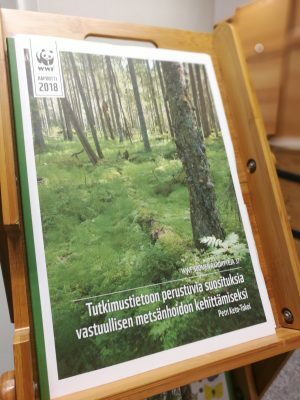 The author is Head of Sustainable Development at the Metsähallitus Metsätalous company, which is responsible for the management of state multiple use forests in Finland. While good and useful, the report published last week by WWF Finland on responsible forestry does not fulfil its promise, writes Antti Otsamo. The report, written by Petri Keto-Tokoi, M.Sc. (Forestry), Senior Lecturer (Forest Ecology), has an intriguing title: Research-based recommendations for the development of responsible forestry. However, the introduction alone reveals that Keto-Tokoi does not discuss the whole entity of responsible forestry, but only the aspect of ecological responsibility. This, of course, is an important goal. If little attention is paid to basic ecological principles in forestry, trees will not grow and forestry will not work. The observation is not trivial. During the history of Finnish forestry we have tested the limits of ecology by ditching excessively barren peatlands and afforesting areas at too high altitudes, for example. In those earlier times, however, responsibility was defined differently from today: it meant providing jobs and income for the inhabitants of remote areas. Faith in the future was strong, but there was no awareness of ecological restrictions the way there is today. We are no longer repeating the mistakes of the forest fever after the Second World War, created by poverty, war reparations to Soviet Union and the boom caused by the Korean war. Profitability is carefully examined and the aim is to create income from the forest, despite the fact that many forest owners do not look on forestry as a livelihood, which means that their goals may also vary greatly. Luckily, legislation and regulations allow this variation, whether the main aim is to maximise timber production, to focus on game or landscape management or recreation – or to leave the forest with no management at all. The WWF report is an excellent representation of the ecological view on forest management. The author Petri Keto-Tokoi is a seasoned professional, who has focused on the ecology of forestry for decades and has expressed valuable opinions in support of forest protection and the biodiversity of forest species. The author’s expertise and profound vision are clearly discernible in this report as well. At the same time, a strong desire to move forestry in a more ecological direction and to a better safeguarding of biodiversity stands out. The report summarizes a sizeable volume of forest ecology research, primarily from the Nordic countries. And there is no shortage of that research, as the Nordic countries have invested in biodiversity research through many and well-financed programmes since the 1990s. The facts are indisputable. If we want to follow the precautionary principle and minimize the ecological risk, the guidelines presented by Keto-Tokoi do work. However, many of those who get their livelihood from forestry may wonder at the categorical recommendation to leave a protection zone of 30 metres around waterways, to cite an example. If a forest stand contains just two small brooks, their protection zones will cover quite a large area. Keto-Tokoi’s recommendation for the minimum volume of retention trees, left standing in connection with regeneration fellings, is as high as ten percent of the volume of trees in the stand or the area of the stand. Many a forest owner would find this rather expensive. Then again, according to long-term research, sparing deadwood may be the most cost-effective way to safeguard endangered forest species. 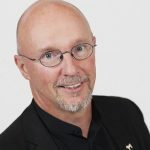 It is obviously something that could well be practised by most Finnish forest owners – whether individuals and families, companies or authorities – especially since the forest sector has viewed it favourably for long. Another ecologically effective method, artificial burning, is more complicated. It is very labour-intensive and thus also expensive. In addition to this, it is highly dependent on weather conditions. This is why I personally do not believe that artificial burning could be increased to the level recommended by Keto-Tokoi: 10–20 percent of the volume of timber in the area to be regenerated. Despite the ecological effectiveness, this would be very expensive. The WWF report is a good contribution to forest debate, but only if we remember that it represents the ecological viewpoint alone. It is rather too harsh in its judgement on current forestry. Ecology is the basis of forestry, but it is not the only dimension of sustainability and responsibility. Nobody carries on forestry out of wickedness. People do it for a living, to gain an income and to respond to the demand for wood-based products. 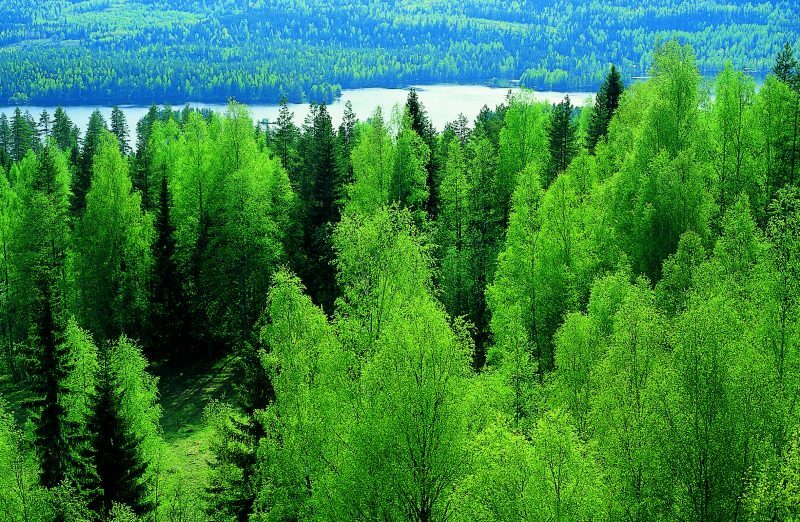 Humans have also treated forests roughly in earlier times, and this goes for Finland, too. Tar production, slash-and-burn agriculture, the selective logging of the largest trees along rivers and the extensive post-war clearcutting sites all caused drastic changes to the landscape. Nevertheless, the forests recovered, and at the moment these areas exhibit magnificent and varied forests with plenty to protect, too, as is also proved by Keto-Tokoi’s report. The forest will recover in the same way in today’s harvesting sites, if we just have the patience to take a longer view. As a matter of fact, the majority of the recommendations in the WWF report are already in use, though not on the scope recommended. Having read the report, though, forest owners will be able to adapt them to suit their goals. What lessons do we learn from this? The western world is developing towards more individualism. There are fewer and fewer collective truths. This is true for Finnish forest owners, too. The diversity of the forest owners’ goals must be taken seriously. Maximizing wood production is not important for all of them. After reading the WWF report, it occurred to me that forest owners, or the professionals advising them, need a simple piece of software where, in addition to the basic data on the forest estate, such as forest area and timber stock, you could key in something like the recommendations of this report one by one, and it would show you the cost to the forest owner in terms of decreased revenues from timber trade, etc. This would bring more clarity to decision-making and to the options available for forest management. No matter what the forest owner aims at when managing the forest, it should be based on facts and informed choices.